Smashed, sliced or spread, avocado toast has quickly become the breakfast of a generation. The number of avocados supplied to the U.S. has tripled since the '90s! Here are seven combinations that will put a spin on your favorite breakfast. Who doesn’t love cheese, eggs and tomatoes? This is like two legendary breakfasts in one! With a hint of chili and a dash of lemon, this is the perfect brunch. Check out this recipe for inspiration! Tip: If you want to be extra daring, add some guacamole. This combination of honey, Greek yogurt and avocado will certainly sweeten your morning! Make a simple tuna melt by combining tuna, mayonnaise, onion and celery over some cheesy bread and then add some avocado and your favorite fruits and veggies over the top. Simply delicious! You can have it for breakfast, lunch, dinner—any time of the day! The recipe is fairly simple with a mix of cooked chicken and diced jalapeño. 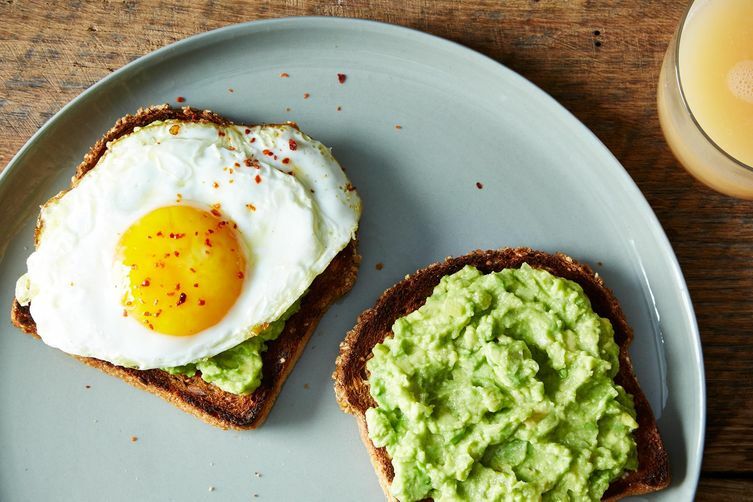 Add a fried egg and guacamole to your avocado toast! The recipe is perfect if you're ready to try something adventurous. Racha Shah, a freshman at Dartmouth University, loves putting basil and tomatoes on her avocado toast. She says it is one of her "favorite traditional flavors." By far, the weirdest and wackiest option is adding tortilla chips. Add some salsa for an extra kick! This recipe takes a meager five minutes. When trying these, don’t forget to snap the perfect pic for the 'gram.